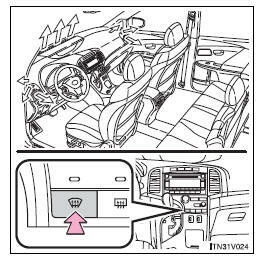 The air conditioning system control operates automatically. Recirculated air mode will automatically switch to outside air mode. It is not possible to return to recirculated air mode when the switch is on.